Funny photo of contradictions, confusion and absence. Funny photo about contradictions, confusion & absence. 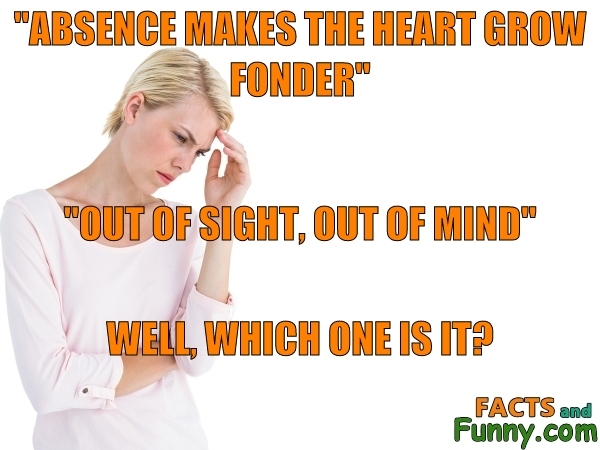 Absence makes the heart grow fonder. Out of sight, out of mind. Well, which one is it? This content was created in April 2019.